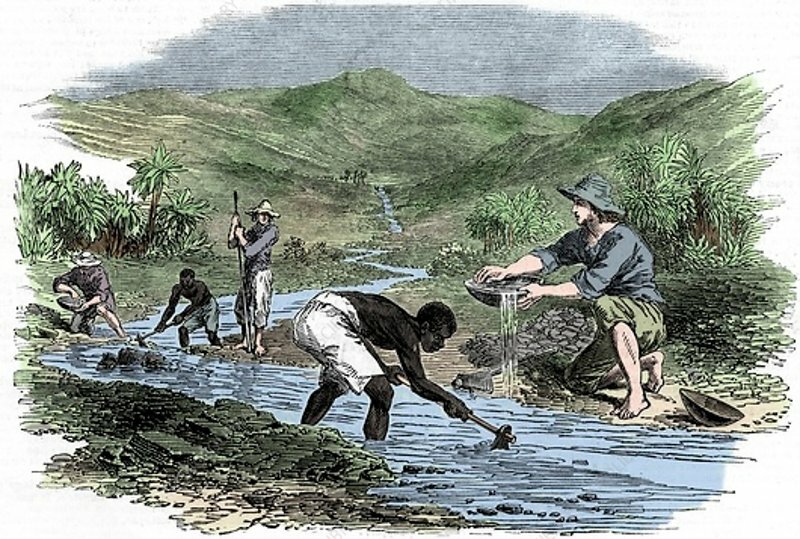 Panning for gold during the Californian Gold Rush of 1849. The discovery of gold in 1848 led to mass immigration into California, with over half a million people from all over the world pouring into the state in search of riches. From The Illustrated London News, 6 January 1849.